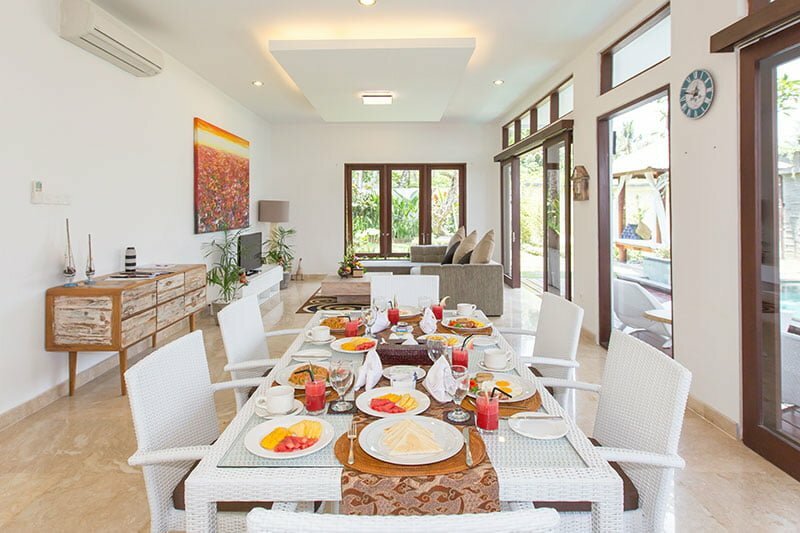 Guests who want to experience the true feeling of a Balinese hospitality are welcome to book their accommodation at our villa, the Villa Club Corner. 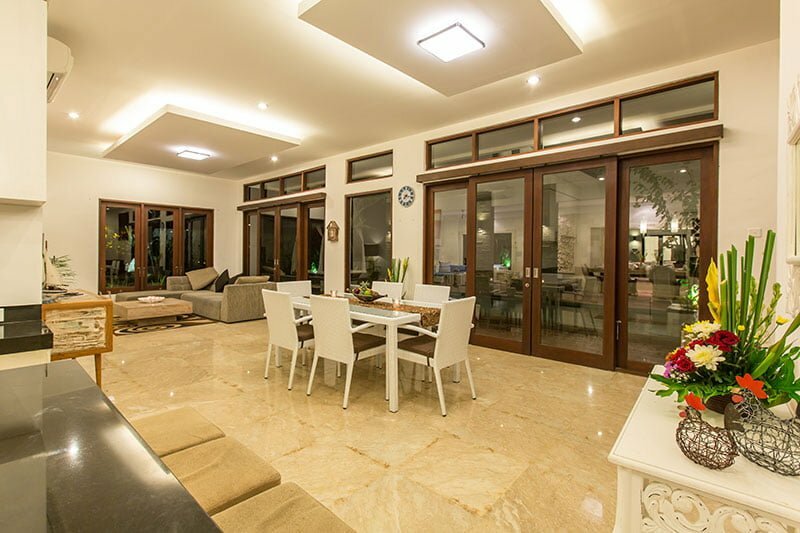 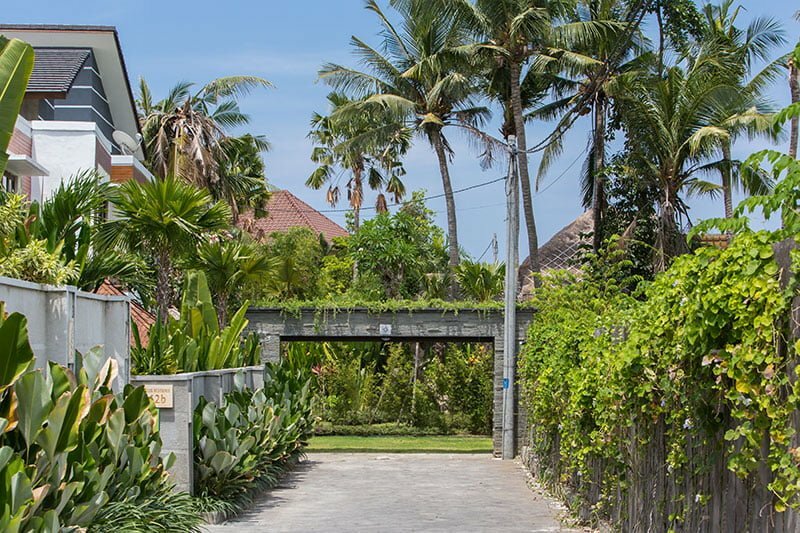 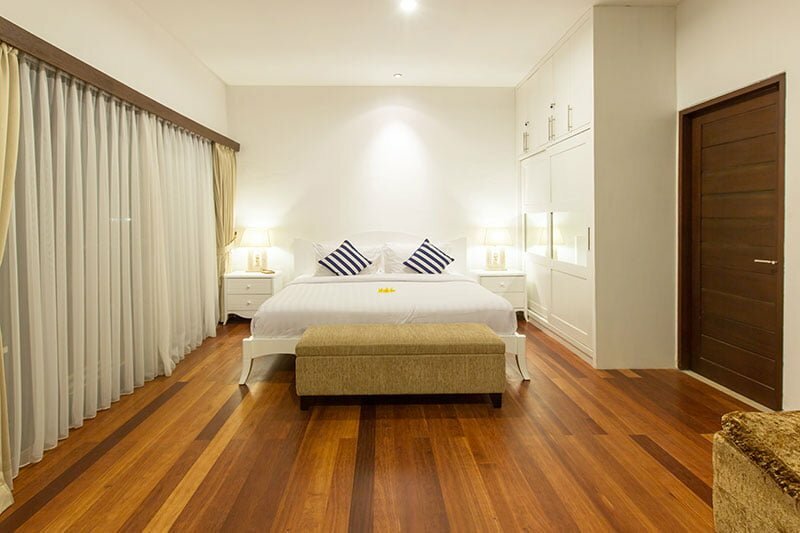 We are located in the Canggu area where you only need a 20-minute drive to reach Seminyak to access a wide choice of exciting nightclubs, chic cocktail bars, elegant boutiques, and lavish spas. 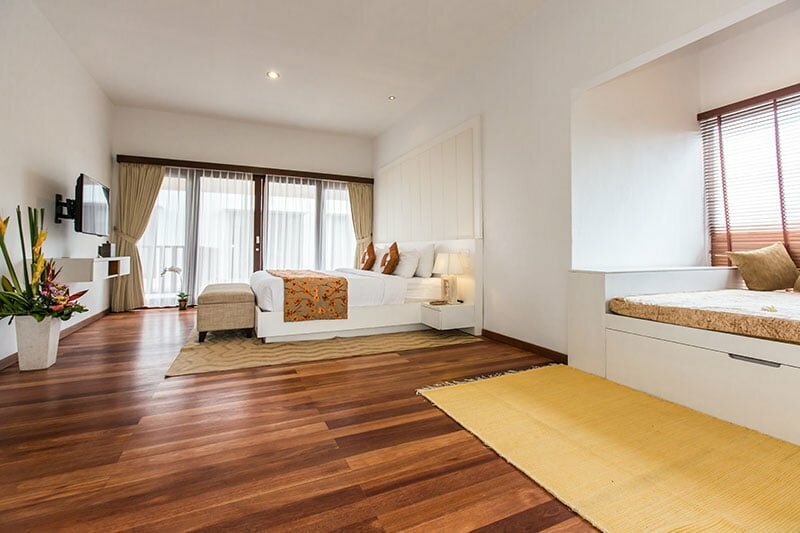 A short motorbike or taxi ride will bring you to the relaxing, surfing waves of the famous Berawa Beach. 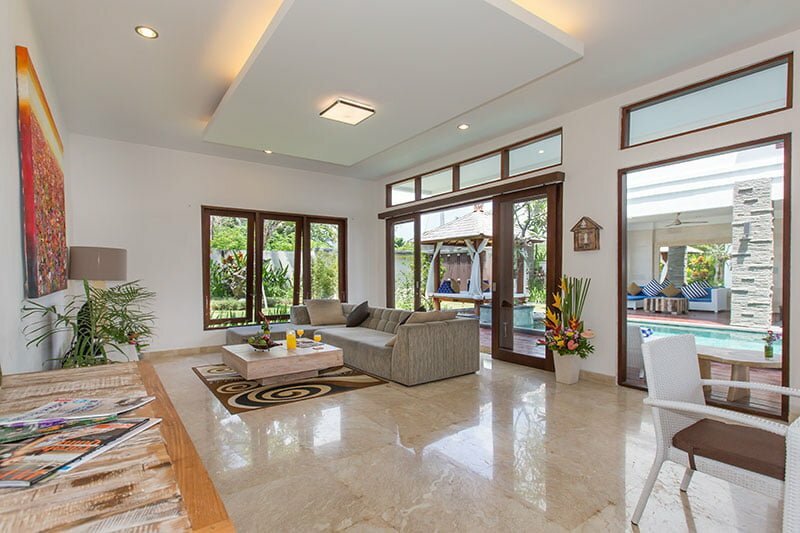 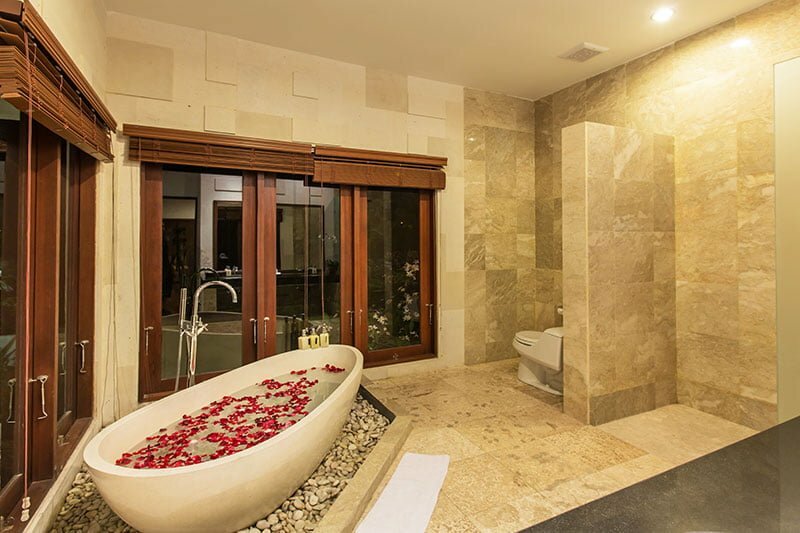 It is, therefore, undeniable that Villa Club Corner is an ideal spot for your tranquil Bali retreat. 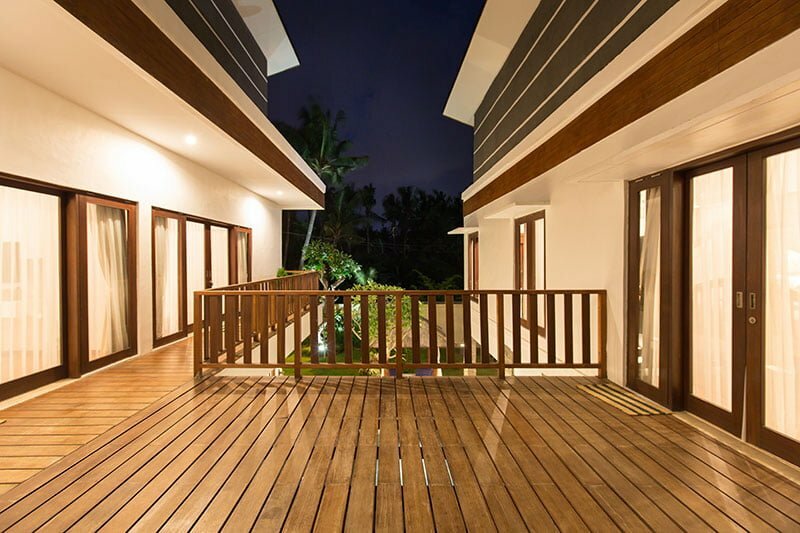 You will get a gist of our accommodation facility right from the outdoor areas. 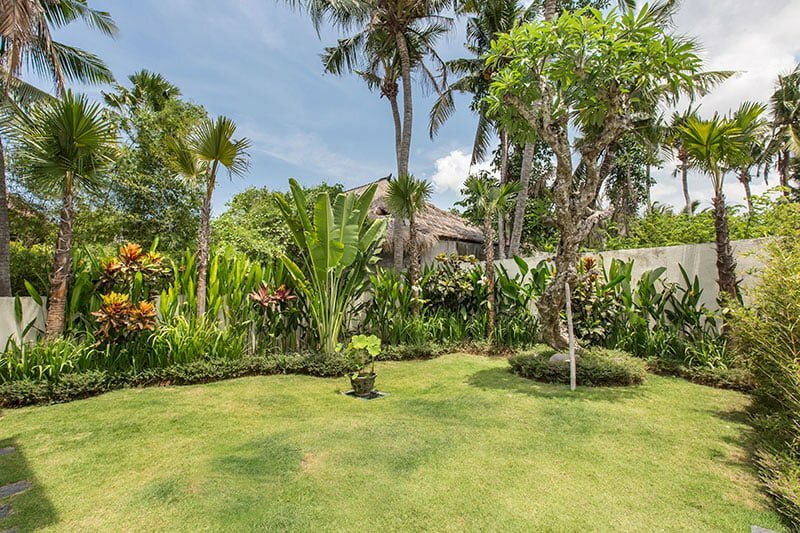 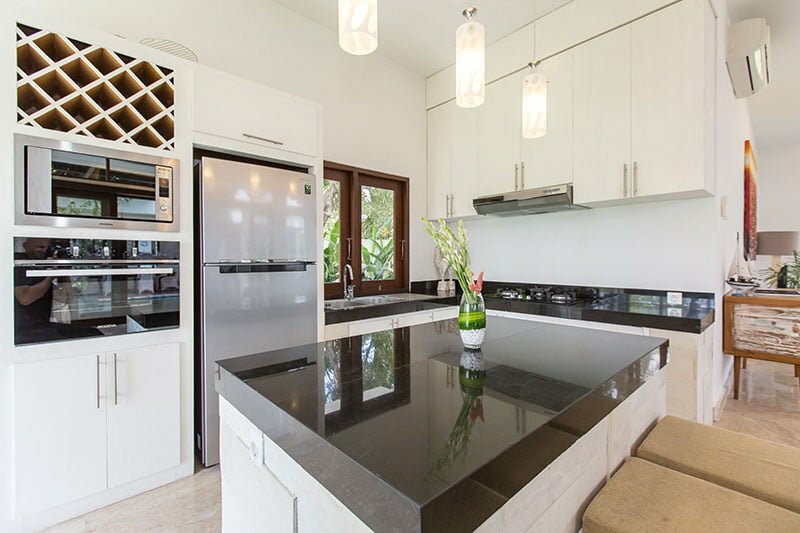 The villa sits on a beautiful garden featuring tropical lush foliage and well-kept grass lawn. 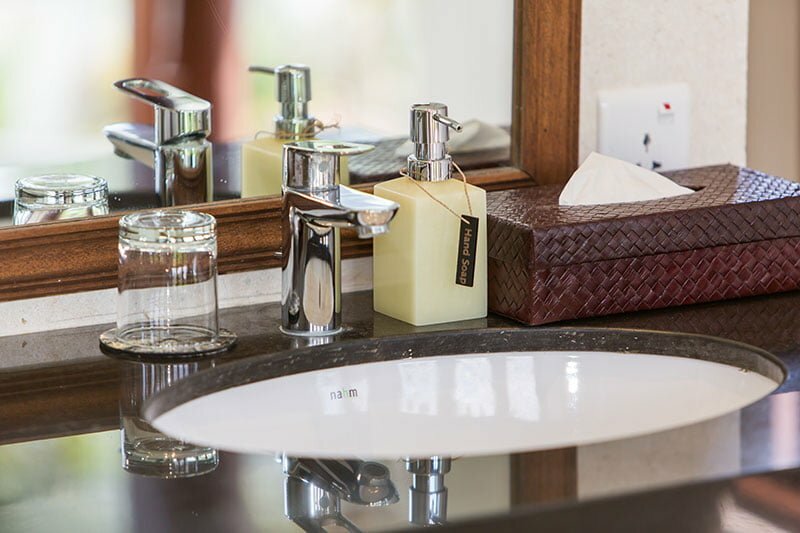 There are also spots of beautiful flowers. 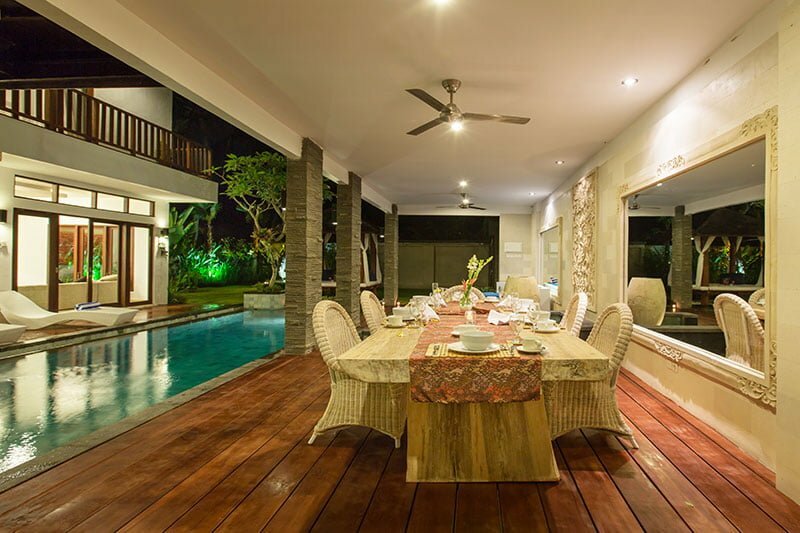 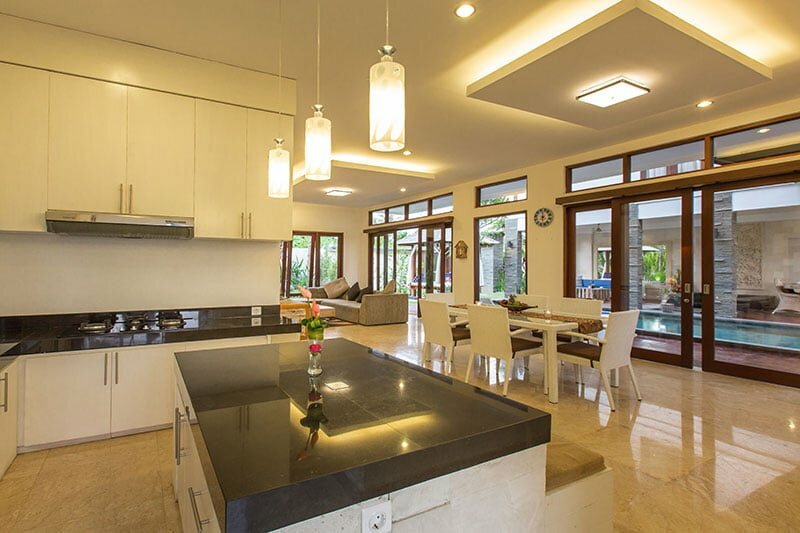 You will be greeted with infinity swimming pool situated in-between the two-story house. 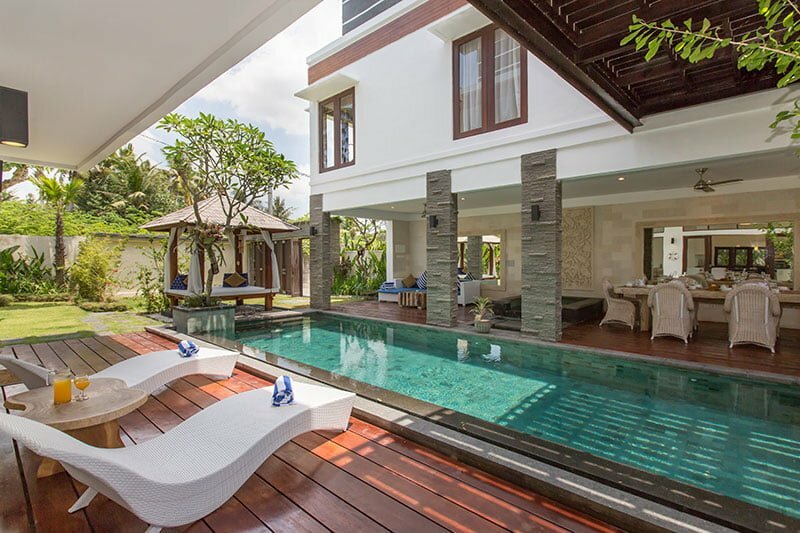 Our pool area also boasts of pool decks that connect to both pavilions. 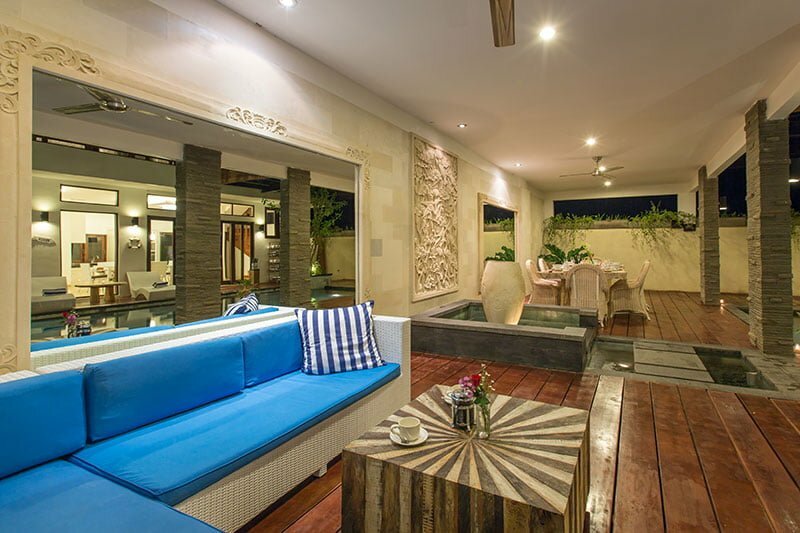 Here, guests will have one of the best relaxing times lazing around the wonderful Gazebo and sun lounges. 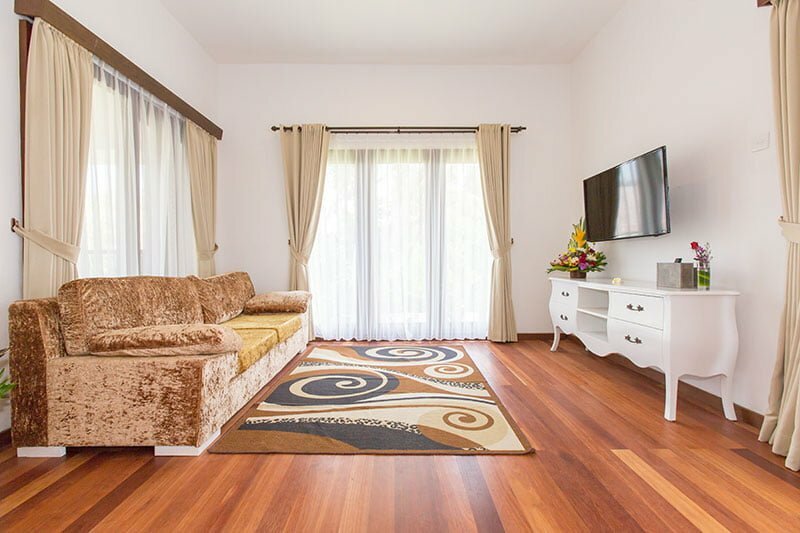 Our facility has more highlights in the living areas. 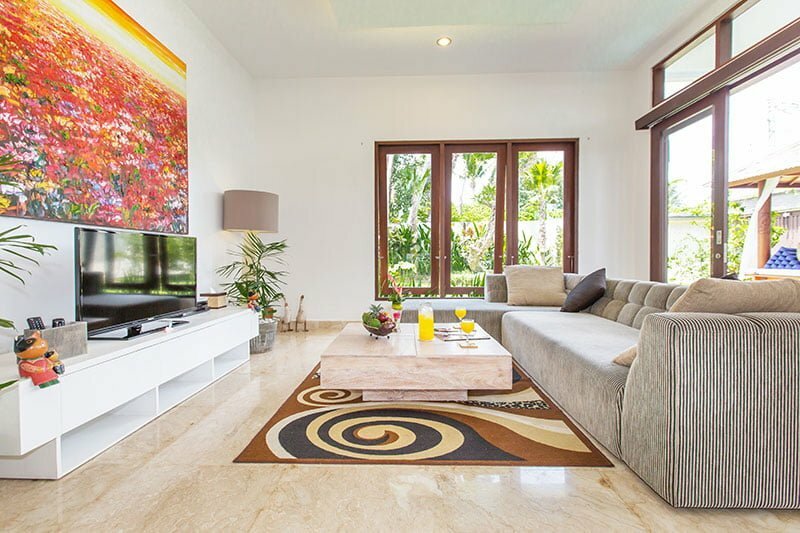 The main living room is spacious with fully furnished decors that include comfy L-shaped sofas for guests to enjoy their cocktails. 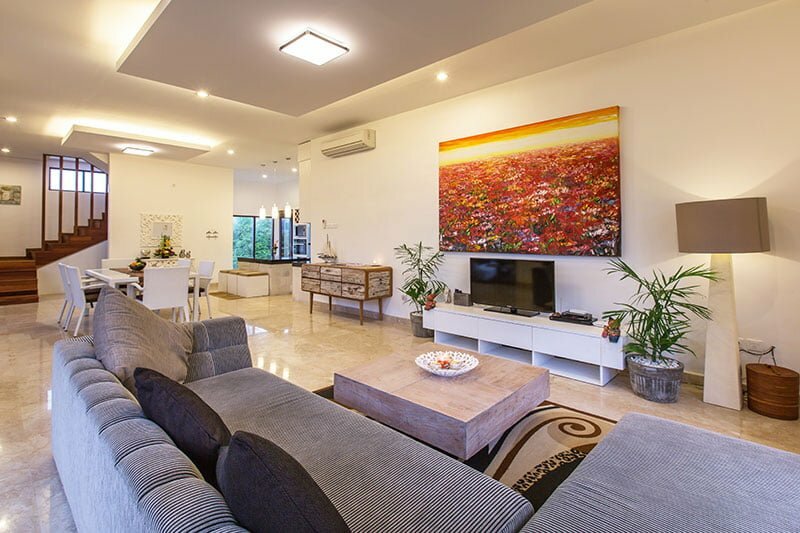 Right on the wall is a huge flat-screen television for visitors to watch their favorite movies. 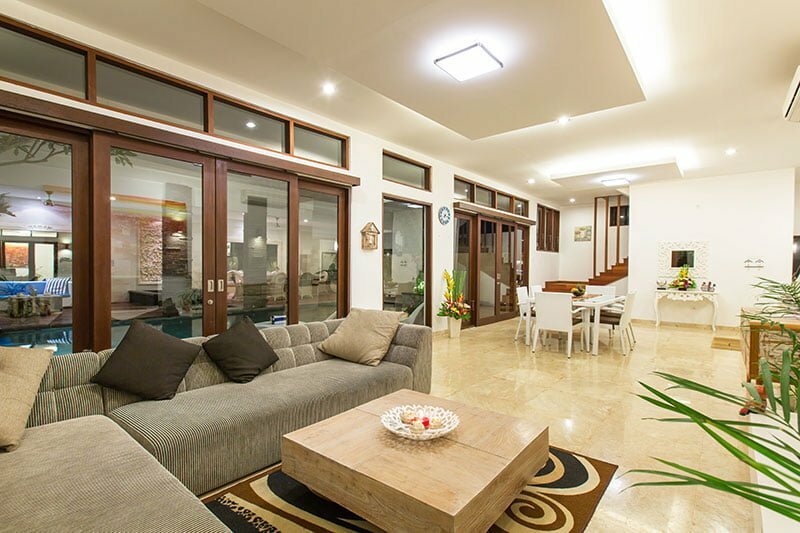 The living area also features sliding glass doors that expose the undulating garden and let in more natural light. 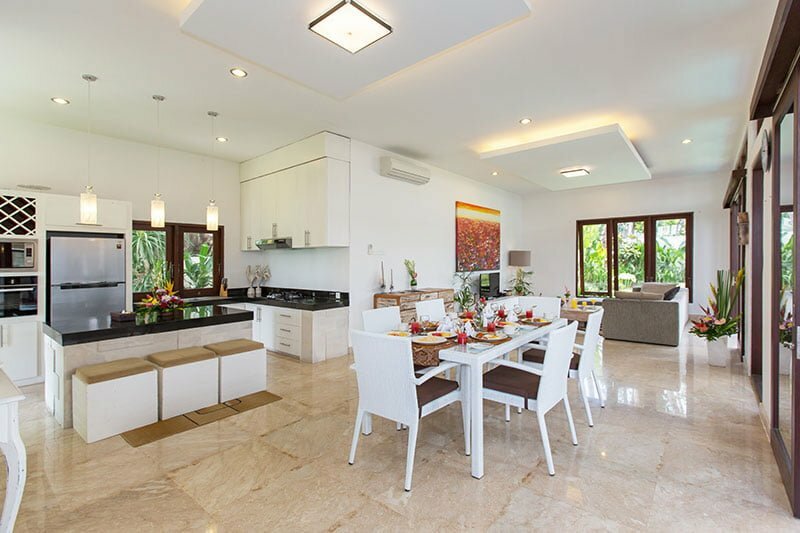 The air-conditioned living area contains a dining room ideal for intimate and gatherings dinner parties. 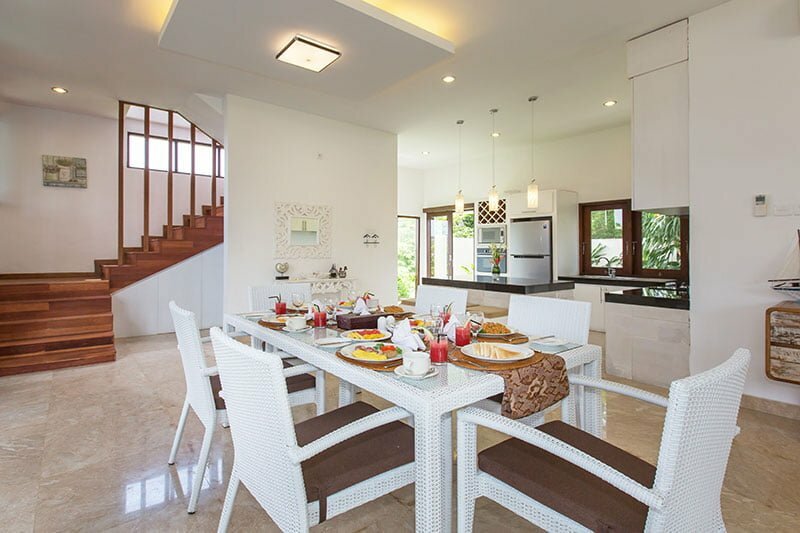 This spot has a big dining table with a seating of up to six people. 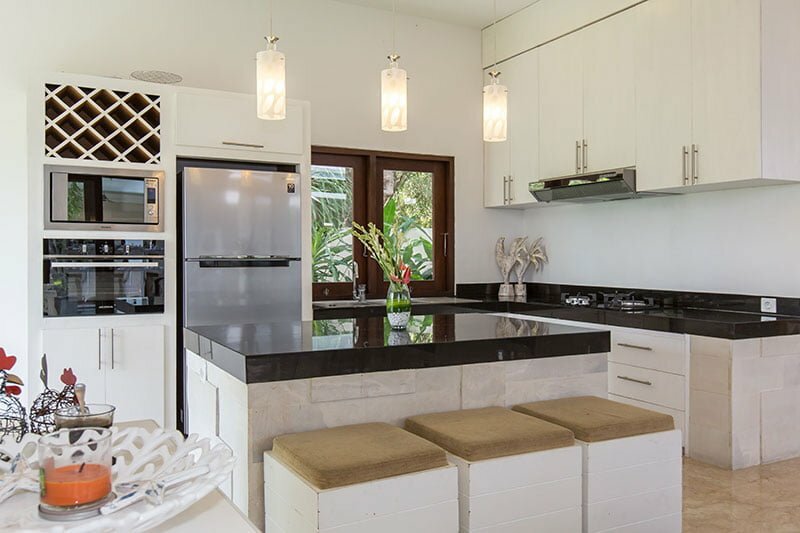 Positioned next to the dining room is a fully furnished and equipped kitchen featuring all the modern amenities and appliances. 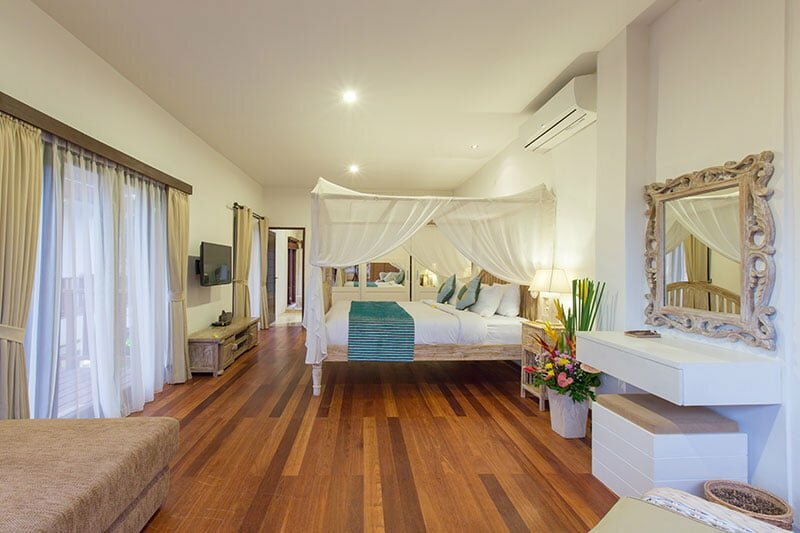 It is bedtime and you will need to know if our villa has it all for you, right? 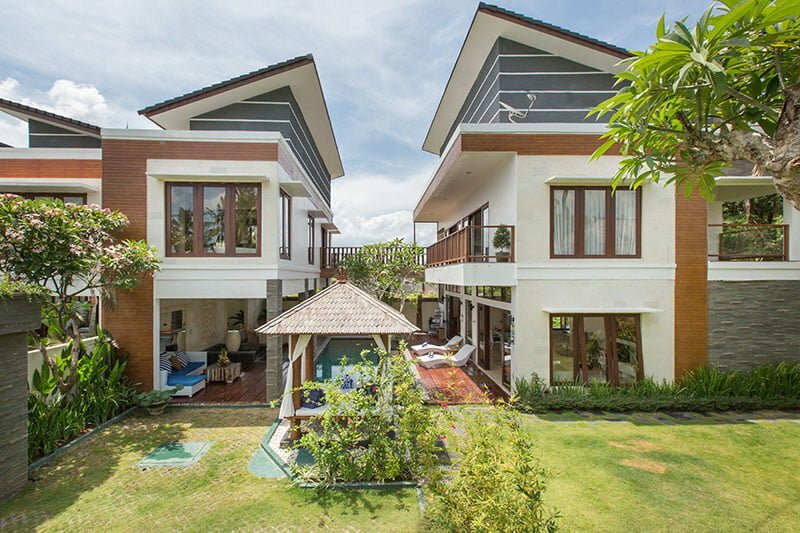 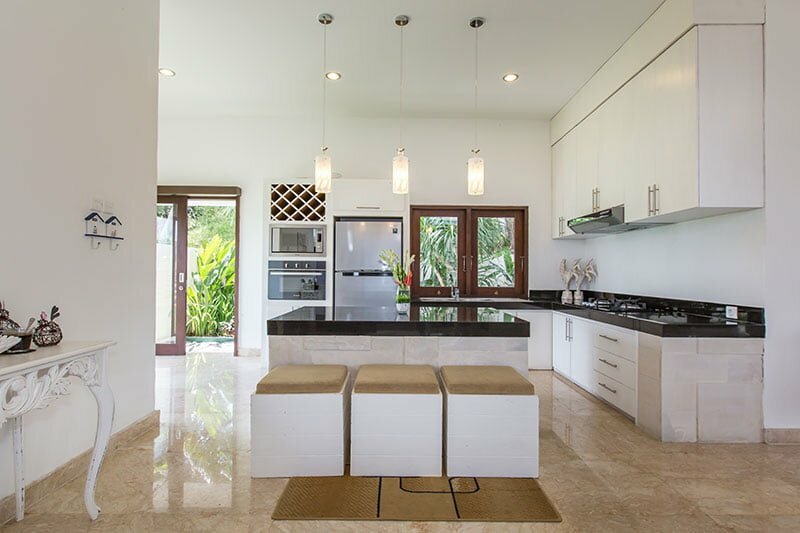 Club Corner is a modern three-bedroom villa. 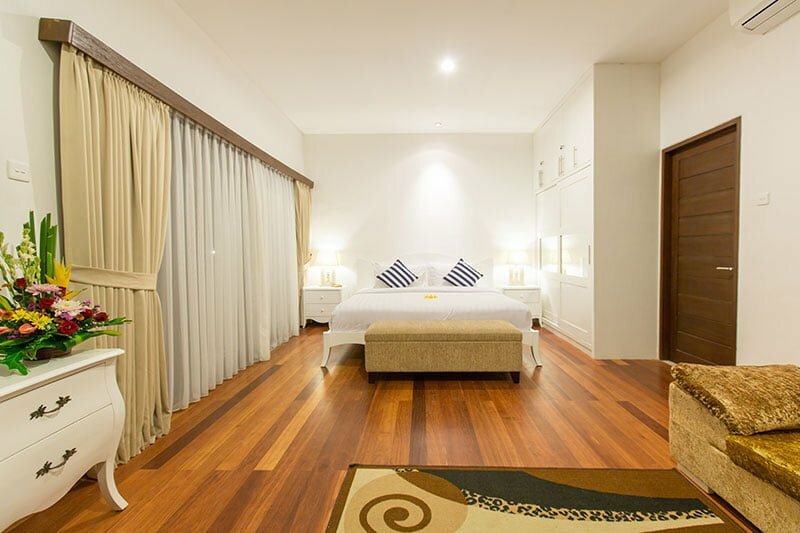 Each of the three rooms is situated upstairs featuring a front-door terrace. 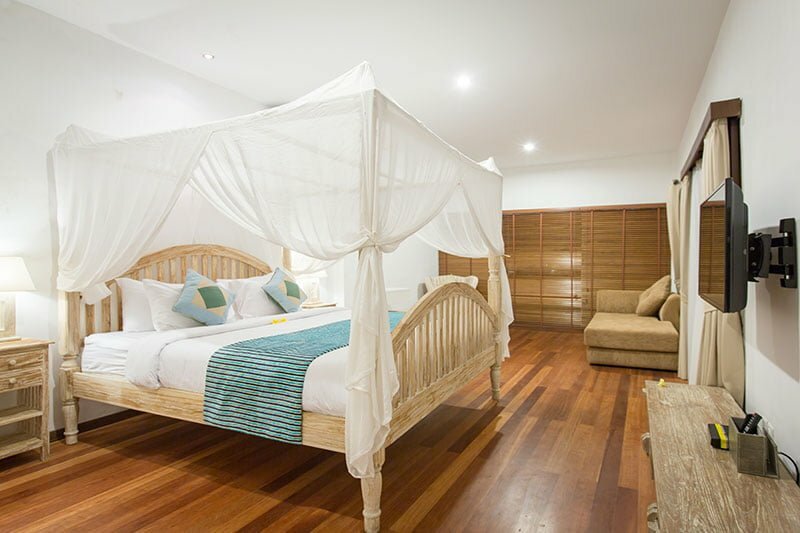 The master bedroom en-suite unveils lush king-size bed draped with a colorful mosquito net and featuring mirrored vanity desk and a sofa lounge. 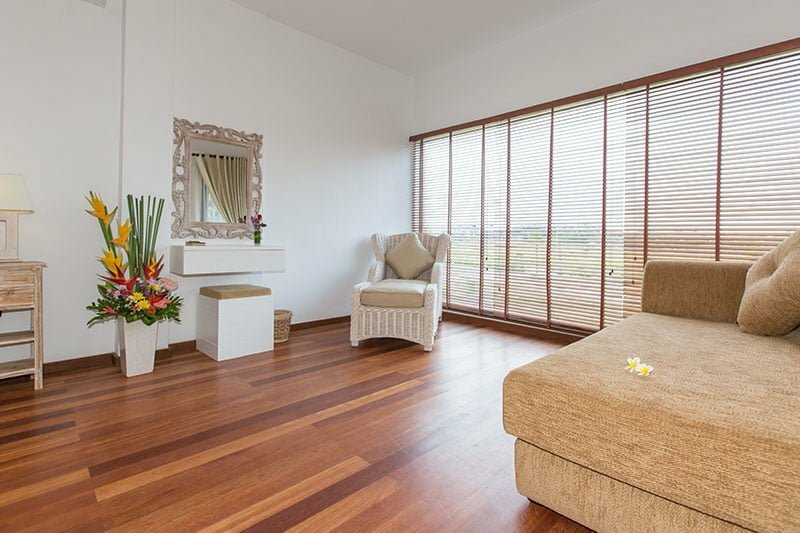 Guests at this room can chill out enjoying a clear view of the rice fields through the massive glass windows. 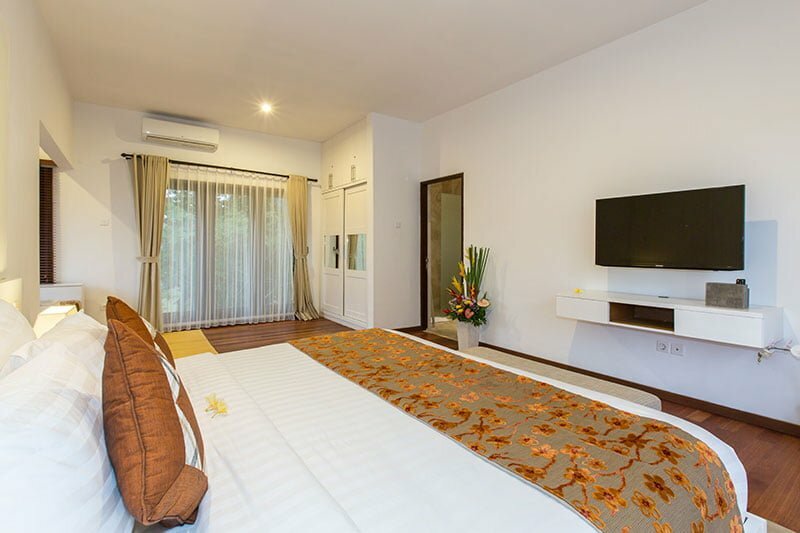 This room is also air-conditioned and boasts of other features like a flat-screen television, a dressing room, safety box, and a fully furnished en-suite bathroom. 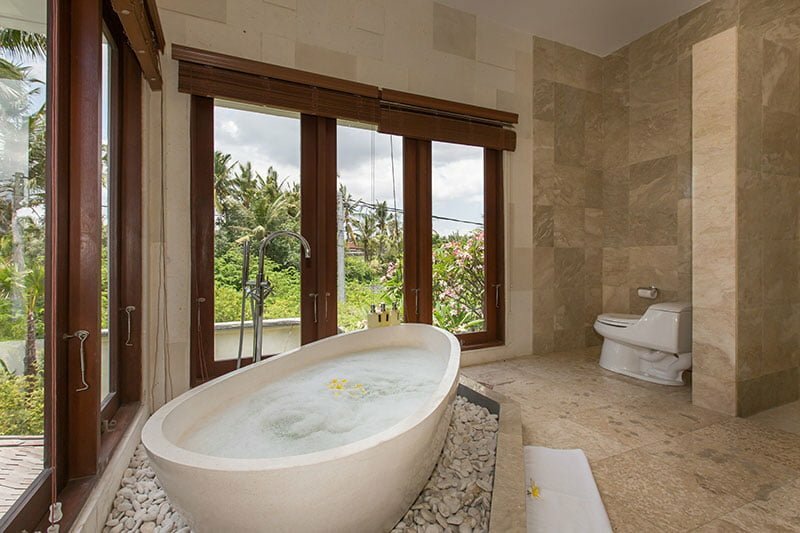 Its bathroom has two sinks, bathtub, and a large standing mirror. 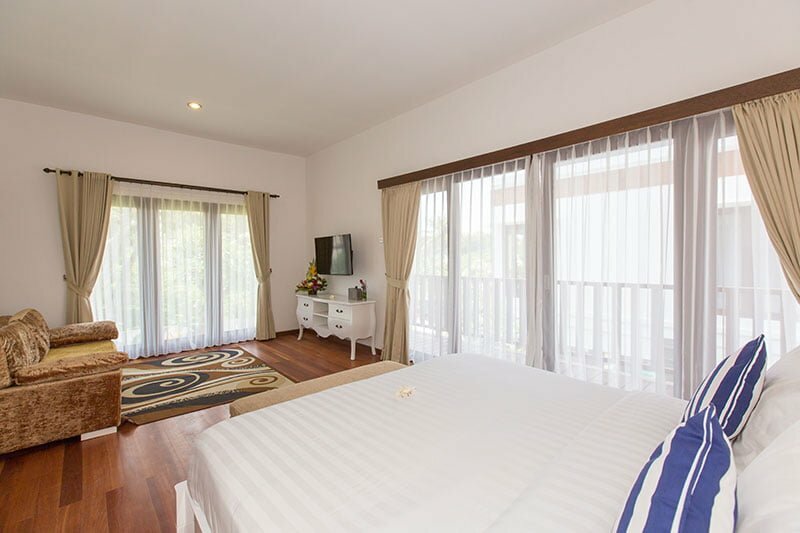 The second and third bedrooms are situated opposite the master bedroom. 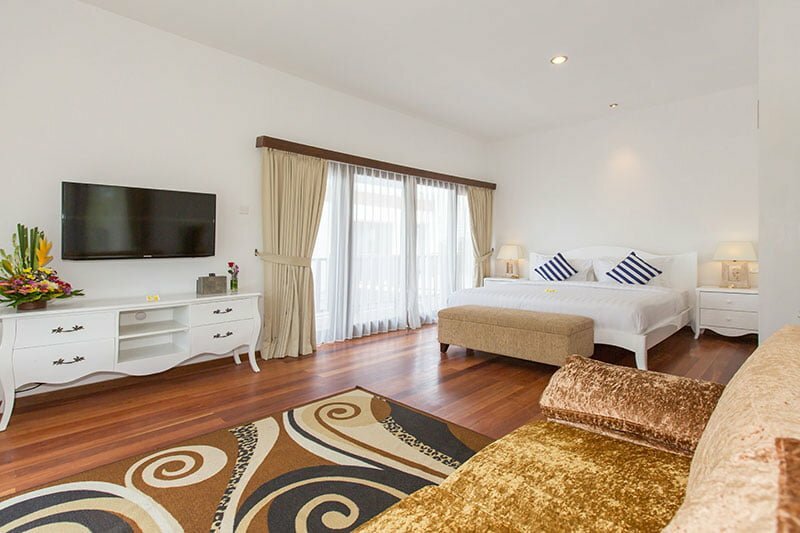 These rooms are also characterized by king-size beds (dressed in attractive warm colors), flat-screen televisions, and sofa-hangout areas. 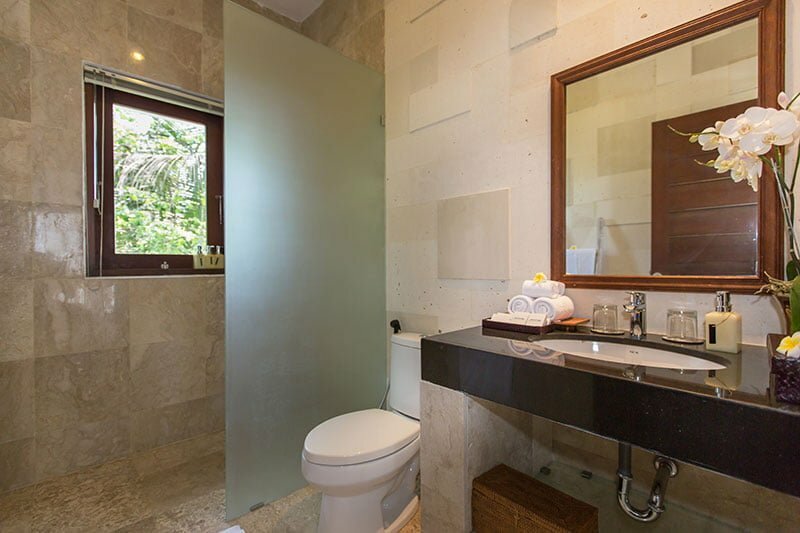 Just like the former bedroom, these rooms feature their private en-suite bathrooms with toilets, one-mirrored sink, and a shower area. 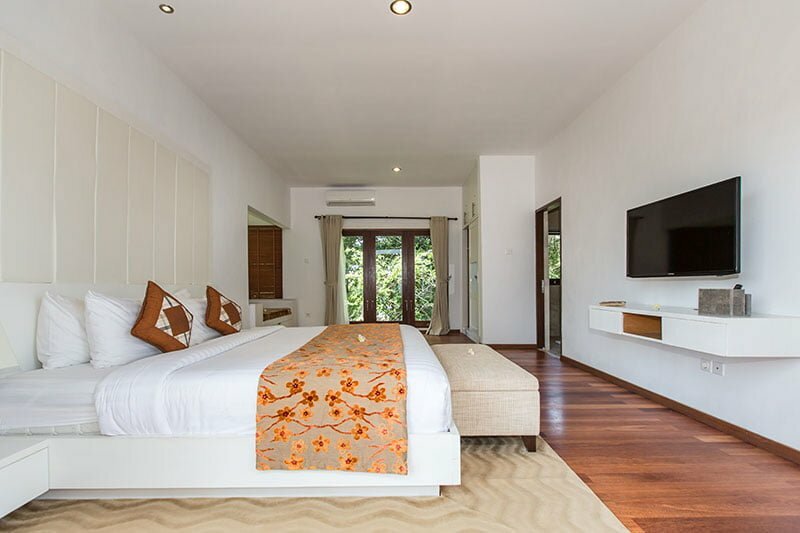 Upon booking your stay at our villa, all your hospitality needs will be taken care of by a team of four people. 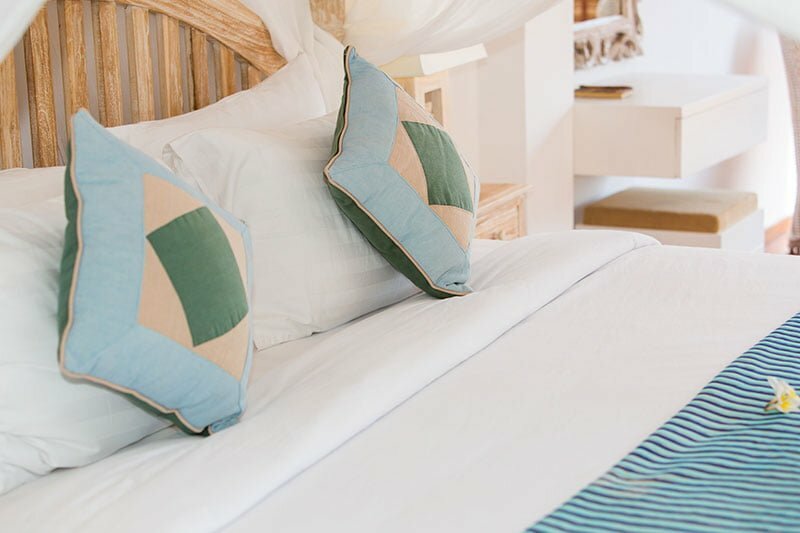 We strive to ensure that your stay is a memorable one through a myriad of services that you will receive, which include a private chef, daily breakfast, laundry, arranged managed services, housekeeping, security service, welcome drinks, and babysitting services among others.